January's edition of #WineStudio featured George Tita and Tanaro River Imports, an importer specializing in small producers in northern Italy and France. The first two segments covered excellent wines from Alsace as well as the Roero and Diano d'Alba regions of Italy's Piedmont.This week we finished with one more wine from the Piedmont as well as a Montefalco Rosso from Umbria. 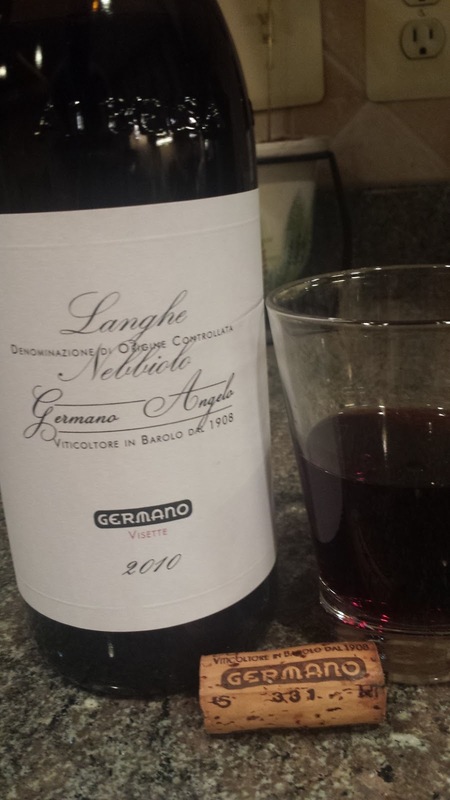 Germano Angelo Azienda 2010 Nebbiolo d’Alba “Visette” Piemonte, Italy ($24, 14.5%) is "a Barolo without the price tag". Germano Angelo is the name of the winery's founder and a little more than a century later Davide Germano is now the winemaker. This is a baby Barolo as it is aged six months less than a traditional Barolo. The grapes are also sourced from three areas ( La Morra, Barolo and Monforte) where "Visette" is a name of a parcel in Monfort. And although once heavy farmed, Nebbiolo now accounts for only 6% of Piedmont grape production. This Nebbiolo is a structured wine with many layers of dark black fruit, tobacco and dried figs. It finishes with long stringy tannins. At $24 this is a great value. 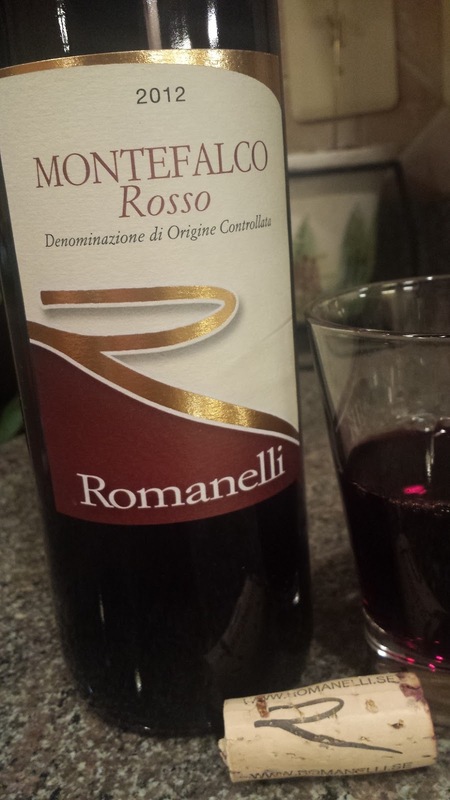 Azienda Agricola Romanelli 2012 Montefalco Rosso Umbria, Italy ($24, 15%) was made using the legacy Montefalco Rosso DOC regulations requireing 60-70% Sangiovese, 10-15% Sagrantino, 15-30% other authorized varietals. In this case Merlot and Cabernet. In 2015 these regulations were changed to remove the other varieties so that the final percentages must consist of 60-80% Sangiovese and 10-25% Sagrantino. The former grape is is indigenous to Umbria and is found only around the hilltop town of Montefalco and is tannic. And I mean tannic, the most tannic of all Italian varieties. Devis Romanelli is the young family winemaker and according to Tita is "doing important work on understanding terroir, skin contact, barrel use, etc. to push the quality of wine of Umbri". This wine shows plenty of structure starting with a leathery tobacco aroma, faint black cherry fruit, and very noticable dirty chewy tannins - finish is not harsh as in a Sagrantino di Montefalco. Pair with fatty meats. Protocol Wine Studio's Online Session 32 online session continued with two Italian wines from Tanaro River Imports. And like last week's Florian Beck-Hartweg wines, George Tita has focused on two young winemakers utilizing old world methods. 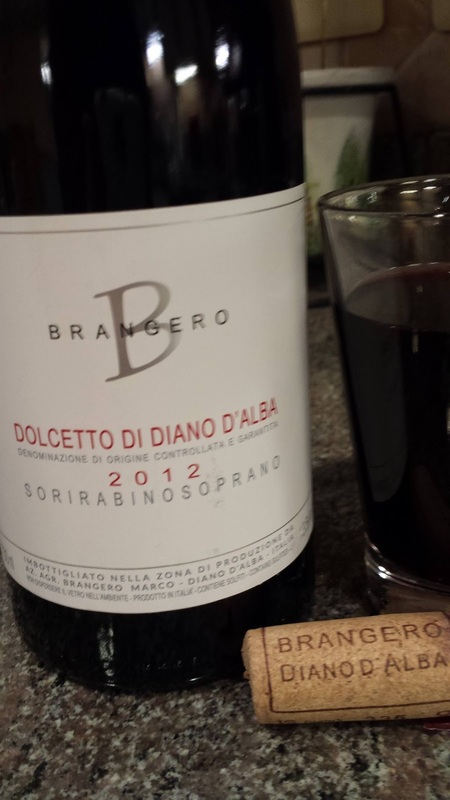 Azienda Agricola Brangero 2012, Dolcetto di Diano D’Alba “San Rabino Soprano” Piemonte, Italy ($18, 13.5%) is produced by 3rd generation winemaker Marco Brangero in the town of Diano di Alba. This area is an approved Denominazione di Origine Controllata e Garantita (DOCG) for Dolcetto as it's high elevation favors the early-ripening grape. On the front end Dolcetto is known to be soft and fruity, yet the wine comes to abrupt u-turn at the finish delivering a healthy dose of astringent tannins worthy of its Nebbiolo cousin. This wine from Brangero Winery is fermented and aged entirely in steel including long maturation process. Thus there are no outside wood influences which leads to a soft tart cherry wine with rustic earthiness finishing with almond like astringent tannins. Beaujolais with teeth. 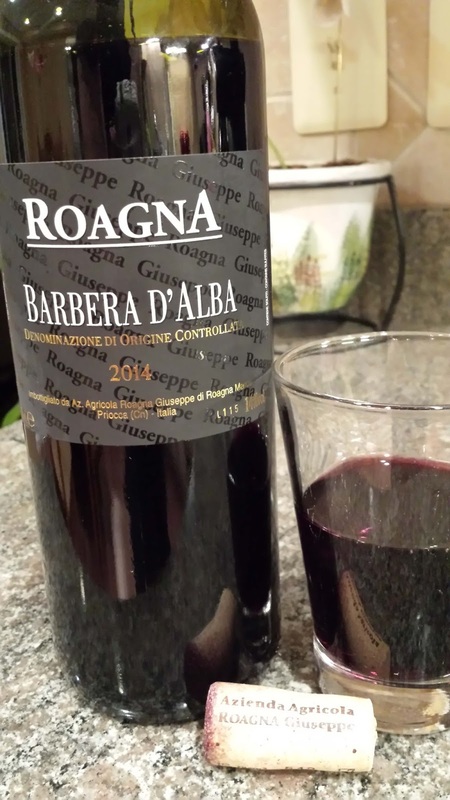 Cantina Roagna Giuseppe di Marco 2014 Barbera d’Alba Roero, Italy ($18, 14%) is produced by another third generation winemaker Marco Roagna from Priocca, a small town in the Roero. The soil contains more clay than other vineyards in the area so Marco's grandfather Bartolomeo selected clones that were best suited for this specific soil profile. Until the early 1980's the family was just selling it's fruit on bulk, but when mad cow disease wiped out the family's herd of livestock, Marco's father Giuseppe turned to a more higher yielding investment - wine production. Barbera is one of these wines and it's the complete opposite of the preceding Dolcetto. The initial taste focuses on it's juicy sour cherry flavor followed by an herbaceous and lively underbelly. There are plenty of acids with will allow this wine to age for a few more years. It finishes softly with easy tannins. This is one friendly and approachable wine. Session 32 of #Winestudio concludes tonight, February 26 at 9Pm ET. Join the conversation. 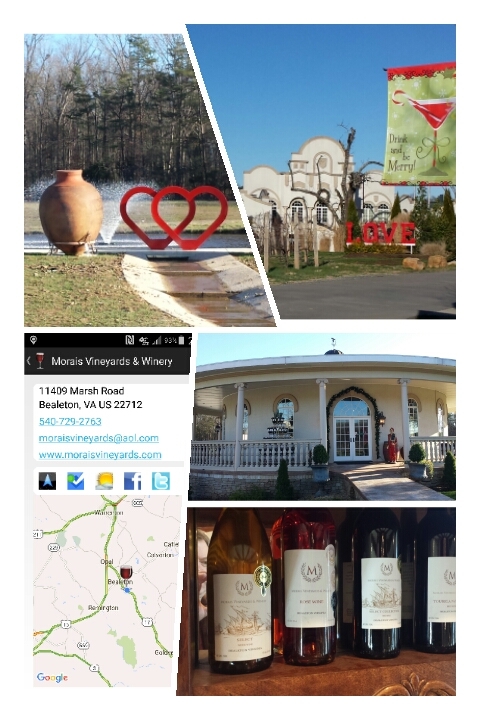 The Middleburg AVA is a popular destination in Virginia wine country and a couple years ago Mt. Defiance Cidery augmented the area wine offerings with craft cider. Soon afterwards the distillery section of the operation came online providing visitors an opportunity to sample classic spirits. And in past year Mt. Defiance Distillery has expanded their portfolio to now include three Rum offerings, Apple Brandy & Liqueur, Cassis, and Absinthe. Because of the screwy Virginia ABC regulations, cider is sampled in Mt. 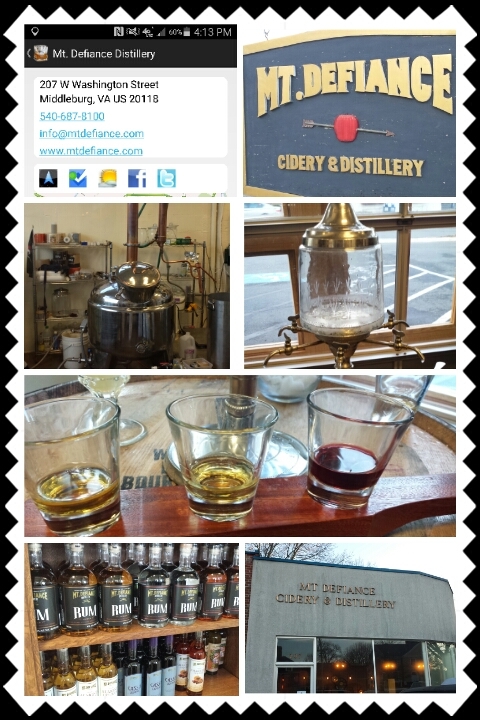 Defiance's tasting room and the spirits nearer to the distillery. Visitors are allowed four one ounce pours of spirits per day. The distillery, like others in the Commonwealth, provide a range of cocktails so visitors aren't forced to sample neat. However, neat was my preference and so between two of us we chose the Amber Rum, Dark Rum, Apple Liqueur, Cassis, and Absinthe. According to Distiller Peter Ahlf, previously the Amber and Dark rums were both aged for 6 - 8 months in small (15 gal) used rye barrels. The difference is that Ahlf adds caramelized sugar to the Dark Rum just before bottling. Check your bottle label because Batch 12 was aged for 14 months in a 55 gallon used bourbon barrel and Batch 13 was a blend of 12 and previous methods. I don't know which version I sampled but the Dark Rum does have a pronounced honey-caramel profile when compared to the Amber - which is very smooth with a lighter honey accent. Both are very nice, but I preferred the lighter Amber style. The Apple Liqueur is produced using a mash of sweet cider with crushed apples which is mixed with their Apple Brandy and additional sugar for sweetening. 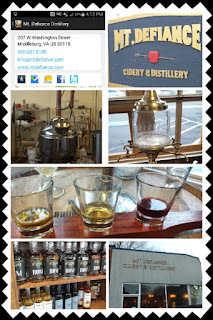 (The Brandy is produced by aging distilled hard cider and hen cutting to 80 proof). Thus, the liqueur is lower in alcohol at 50 proof / 25% alcohol and a bit on the sweeter side. Cassis is a liqueur made from blackcurrants and Mt. Defiance's version is excellent. Ahlf says that his goal was to emphasize the liqueur's bright fruit flavor over sweetness and he succeeded. There's no syrupy or gritty sugar texture and the blackcurrant flavors are prevalent. Ahlf also mentioned that beet sugar worked much better than cane sugar as a sweetener. Interesting. The final spirit we sampled was the much anticipated Absinthe as Mt. Defiance utilizes the traditional brouilleur (water dripper) and sugar cube to prepare the spirit. They also use traditional ingredients such as Virginia grown Grand Wormwood, Lemon Balm and Hyssop; Aniseed from Andalucía, Spain; and Fennel Doux from Provence, France. In general I'm not a great fan of Anise based spirits, but this Absinthe was rock solid - not overly liquorish - but relatively smooth. I was pleasantly surprised on this one. To help navigate to Mt. 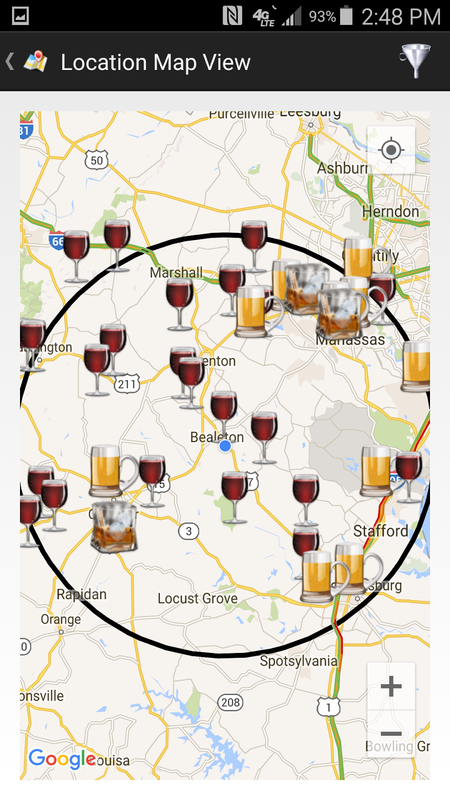 Defiance or any of the Middleburg area wineries check out theCompass Winery, Brewery, Distillery Locator Mobile App. Cheers. January's online session of #Winestudio features George Tita of Tanaro River Imports, which specializing in small producers in northern Italy and France. This month will feature a few of Tanaro's wines made by young winemakers who have maintained the traditional of their forefathers. One of these “young turks” is Florian Beck-Hartweg, who along with his wife Mathilde, are the fourteenth generation to work the family vineyards in Alsace. These vineyards are situated in northern Alsace near the village of Dambach-la-Ville. Old traditions are followed as Florian utilizes century old oak casks to ferment and age the wine; natural yeast for fermentation; and only adding a small quantity of sulphur dioxide for preservation. Furthermore Beck-Hartweg stresses a spirit of cooperation with nature as depicted in their logo and imprinted on some of their corks. The logo shows a flower with a bee, which represents the wild green cover that is allowed to grow in their vineyards. This cover crop includes flowers which attract insects -- encouraging biodiversity. The particular bee drawn on the logo is a predator of the grape worm, which allows the winery to avoid the use of insecticides. Beck-Hartweg's most famous wines are the Frankstein Grand Cru, but in this tasting we sampled a Riesling and Pinot Gris from their Prestige brand. These grapes are harvested from the same Frankstein vineyards; they are just located on opposite slopes with different sun exposures. Yet they all share the same granite mineral rich soil. The wines are also stamped with a Vigneron Indépendant label which designates that Florian Beck-Hartweg operates all phases of the wine's production from the viticulture to harvest to wine making to bottling. Now that's hand crafted. 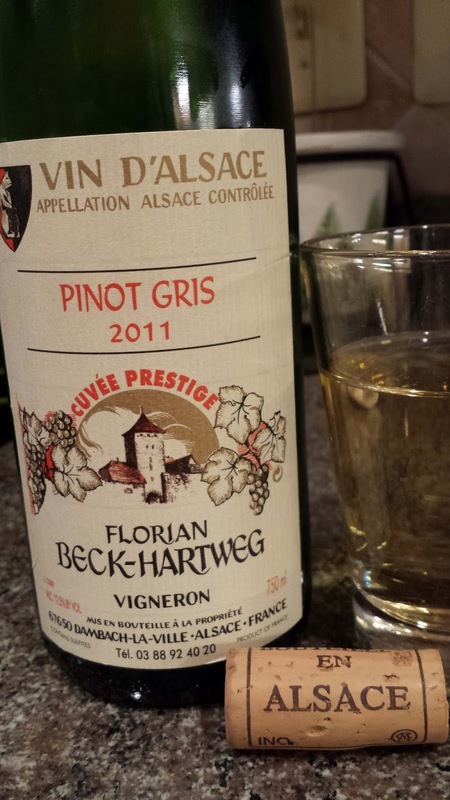 2011 Pinot Gris “Prestige” Beck-Hartweg ($20, 12.5%) - this is a mineral driven wine as the light citrus flavors are overshadowed by creamy minerals with solid acidic backbone. If you think of Pinot Gris as boring (like I used to) then try this wine; it will change your perception of the grape. 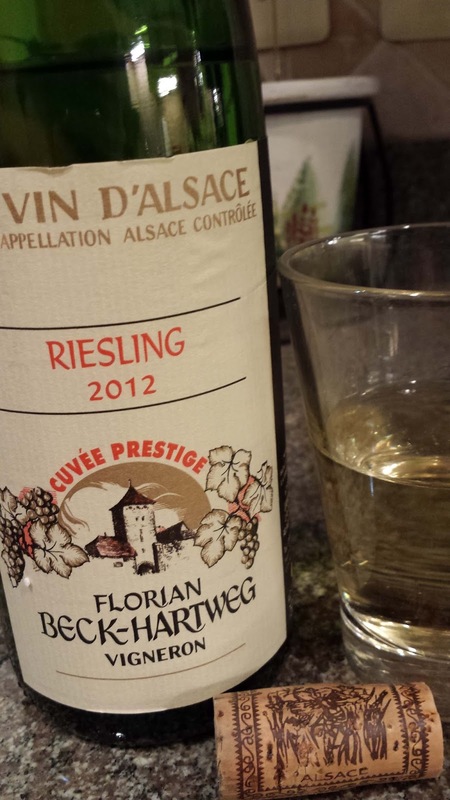 2012 Riesling Cuvée “Prestige” Beck-Hartweg ($20, 12.5%)- this is an acid driven wine with floral and light citrus flavors mingling with honey and nuts. There is a solid textured body and a long, long finish. Well done. 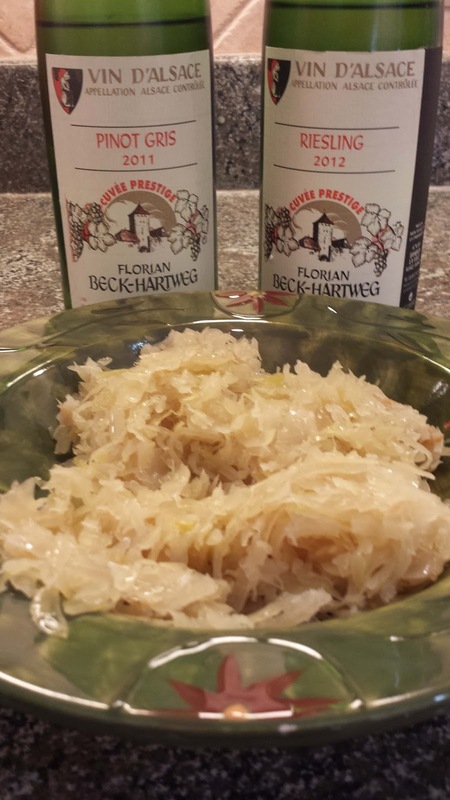 One entertaining note is that Beck-Hartweg recommends serving the Riesling Cuvée with sauerkraut. I mimicked that pairing and for my tastes determined that the Pinot Gris was actually a better partner as it coated and dampened the sourness On the other hand the Riesling seemed to blend and extend the sour flavors. Nevertheless an interesting pairing. On Tuesday January 19, #Winestudio will move into northern Italy with Dolcetto and Barbera. Join the conversation. This year Linganore Winecellars is celebrating it's 40th anniversary as the winery opened in 1976 after planting their first vines 1972. They relied on Cornell University to help determine which grape varieties to plant and eventually became a test vineyard for their experiential grapes. In 1978 the winery augmented their grape production with fruit wines after a local plum grower lost a verbal contract. 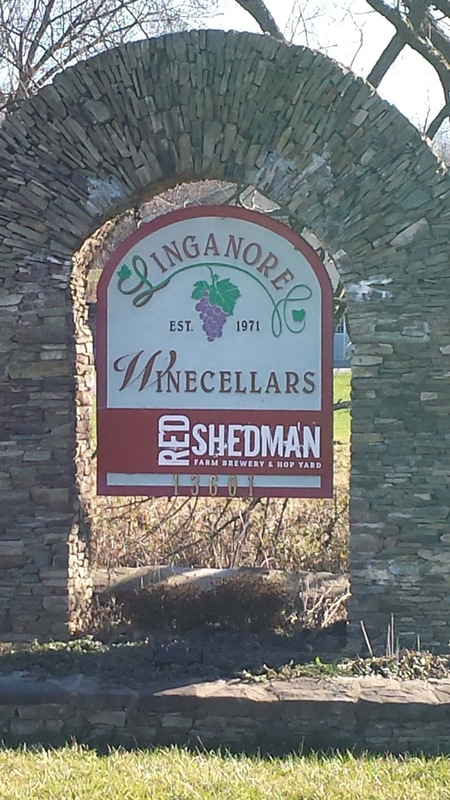 Today Linganore is a giant among local wineries producing 155 thousand gallons annually. And they are proud of their upcoming 2016 offerings and organized an industry tasting of these wines in preparation for a similar consumer barrel tasting available this weekend. 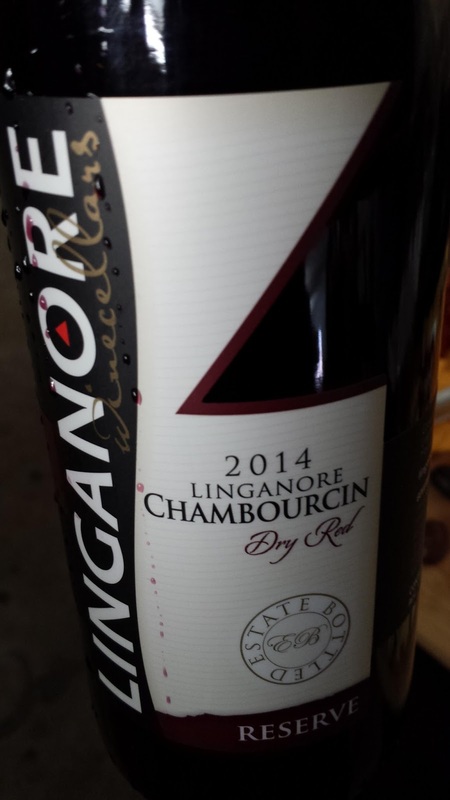 Mostly known for their festival style and fruit wines, Linganore also produces a wide range of dry and off-dry wines. These wines were the focus of our visit. Second generation winemaker Anthony Aellen, Marketing Director Jessica Garcia, and a trio of young winemakers led our group on a tasting of several wines fermenting and aging for a future release. After a brief introduction about the history of the Aellen family and winery (available here) we entered the tank room to sample the off-dry, Cayuga based White Raven. In the past this wine was 100% Cayuga but this year they blended it with 18% Chardonnay which added much needed weight. At .5% R.S., this wine comes off completely dry. Later in the tasting room we sampled the current release which falls flat in comparison. We then moved to the barrel room laden with rows of American, French, and even Bulgarian oak barrels. We started with the a sample of the base that will eventually become their méthode champenoise Sparkling Cuvee. The Vignoles grapes were harvested early in order to retain more acids and is currently aging in neutral oak. There is still an element of toastiness that blends with the grape's citrus flavors. I'm looking forward to seeing this base transition to a sparkling wine. We next tasted what will become their Reserve Chardonnay. This wine will eventually see eight months in oak and we we tasted it half way through the process. It starts with a buttery aroma, but the oak influences fade as the Chardonnay flavors dominate to the finish. Linganore's winemakers are waiting for the oak to integrate in finish and then it's off to bottling. Again, later in the tasting room, we sampled the current 2014 Reserve Chardonnay and it was fantastic. Perhaps the best wine from Linganore that I had tasted - bright fruit, texture, just a little oak presence, and plenty of acids. We concluded our tasting of whites with a Late Harvest Vignoles that is in it's second year in barrel. I was ready to take this home now, layers of creamy lemons unfolded throughout the palate. I wonder where this wine is headed? Moving to reds, Linganore grows Chambourcin, Petit Verdot, Cabernet Franc, Cabernet Sauvignon, and even Barbera -- although they usually augment their Barbera with fruit from a grower near Westminster. In 2015 the winery was able to harvest the Chambourcin and Petit Verdot just before a two week rain deluge, but the Cabernet had to wait until after the storms. The Cab and Barbera were still undergoing malolatic fermentation, which all reds undertake in order to reduce their acid levels, so we sampled just the Chambourcin and Petit Verdot. Both of these were from three year old vines producing their first commercial harvest. And they were tasting well, particularly the PV which possessed loads of deep cherry flavors. They may bottle this as a single varietal wine or it may be used to augment the Cabernet in their Red Skins wine. We were also able to sample three dry reds in the bottle which were just waiting on labels before release. Their Bacioni (Italian for "A Big Kiss") is Barbara based and is a fruit forward friendly wine with easy tannins on the finish. And at $15, a great value. The Estate Chambourcin is more complex but still easy on the palate. And the Reserve Cabernet, a blend of Cabernet Franc and Cabernet Sauvignon, is tasting nicely as well. This is a creamy textured wine with more tannins and acids than the previous two. Nicely done again. Our last endeavor was to sample their Port styled wines aging in barrel, all fortified with neutral grape spirits. We started with their 2015 Ruby Chambourcin that has been in barrel for only three months. It was big, but aggressive with acids taking over the profile. We then sampled the 2014 Ruby Chambourcin that was entering it's second year in barrel. The contrast showed the benefits of this extra year as the wine was rounder, the caramel flavors more prevalent, and it had a much more pleasant finish. Afterwards Anthony couldn't help himself and indulged us with a barrel tasting of their Black Raspberry port styled wine. He's justly proud of this wine. First you don't find that many black raspberry wines, but also, this wine tastes exactly like the fruit. He and the other winemakers at Linganore are justly proud of their upcoming releases. There's no reason to wait until a music festival. Visit anytime. I've driven through the intersection of Route 29 and Route 17 probably a hundred times on trips to Charlottesville and elsewhere but have never stopped at any of the wineries just south of Warrenton. 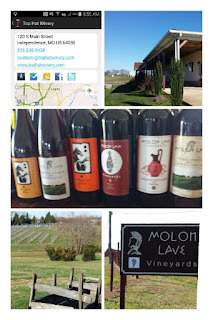 That changed this past weekend as I traveled directly to the middle of Virginia's Piedmont in order to visit three area wineries. Granite Heights is also located in the area but closes for the winter. And as always, theCompass Winery, Brewery, Distillery Locator Mobile App will guide you to these wineries. This winery is owned by the Papadopoulos family, the same Greek family who started Mediterranean Cellars. The vines for Molon Lave were planted in 2003 with the winery and Tasting Room opening in late 2009. The utilize primarily estate fruit and are the first winery in Virginia to produce Kosher wines. A rabbi travels down from New York to supervise all phases from harvest to pressing and fermenting to ensure the designation. And like Mediterranean Cellars they produce a a traditional Greek Retsina styled wine, the Kokineli ($28) rosé that has less of a resin profile than Mediterranean's version. A tasting during this visit consisted of eight wines for $8 with a very traditional wine list (outside of the Kokinelli. The 2012 Chardonnay ($24) is one of their Kosher offerings and is showing nicely with lively acids and just a tad of butter from the oak treatment. The 2013 Viognier ($26) also sees some oak and is made off dry at 1.5% R.S. The acids penetrate any sweetness thus this wines tastes like dry honeysuckles. 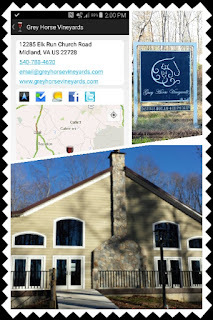 Their 2013 Pinot Grigio ($32) is also produced off dry at 2% R.S. and is a tasty wine, but $32 - for Pinot Grigio - I think that's asking a lot. Chambourcin is a French hybrid that gets a bad rap and I think Molon Lave produces two nice versions, first the 2014 Katie's Charm ($24) fermented and aged in stainless steel. There's plenty of fruit and approachable tannins to make this one an easy sipper. On the other hand the 2013 Chambourcin ($26) is aged 18 months in oak to created a bigger wine with more spices and tannins. Take your pick according to the style you prefer. Their two biggest wines are the 2013 Merlot ($28) and 2013 Cabernet Sauvignon ($35) aged 12 and 18 months respectively. Black fruit are prevalent on both with the main difference being the Cabernet Sauvignon has a more black pepper profile and is Kosher. I definitely enjoyed the visit to Molon Lave and see it know as a launching point to travel further south on Route 29. This is a new winery that is still waiting on it's two year old estate vineyard to yield fruit. Thus, they source most of the juice from Molon Lave Vineyards and other Virginia vineyards. The winery has a large spacious and comfortable tasting room where they provide live music for visitors. Andrew O'Day was onstage this day. And this was a popular spot with a group event and several people lining the tasting bar. Grey Horse offers a Standard Tasting of 5 wines for $10 and a Premium Tasting of four wines plus the Canter ($52) port-styled wine. I chose the Standard Tasting and chose the Bethany's White 2014 ($31, Viognier and Vidal Blanc), Over Fences 2013 ($31, Chardonnay and Viogner), Chardonnay 2012 ($29), Merlot 2012 ($35) , and Equidae 2012 ($36, Cabernet Sauvignon and Merlot). On the positive side, the two reds were very nice with the Merlot creamy, spicy, and showing solid tannins while the Equidae had less spices and body but a friendlier finish. On the negative side, the Over Fences and Chardonnay were flawed with the over abundance of volatile acidity tainting the wine. Also, the wines are over priced - $30 for a white wine - particularly wines aged in stainless steel. And $10 for a tasting of 5 wines; should be half that price. Recommended to people who like red wine and live music. In contrast to Grey Horse, there wasn't much to complain about Morais Vineyards. The Morais family has been making wine in Portugal for over a century and Jose Morais, with his fourth generation winemaker Vitor Guimarãis, have brought Portuguese wine culture to the Commonwealth. Opened in 2011, the winery has an elegant event center for weddings and a similarly elegant tasting facility - a circular building hosting a circular tasting bar. Families will enjoy the spacious grounds and play areas; but on this visit I enjoyed the wines. They offer two tasting flights, the Classic Tasting of eight wines for $8 and the Deluxe Tasting of the Classic plus four dessert wines for $15. The winery also provides a platter consisting of cheese, chocolate, and salami to suggest potential pairings for each wine. I chose the Deluxe and thought all the wines well made with several unique offerings. First, the Portuguese influence is present with the fruity and creamy Verdello ($22, 12%) and the spicy Touriga ($25). And the Battlefield ($21) is made in the Vinho Verde style but is an interesting blend of 60% Vidal Blanc and 40% Albarino weighing in at a measly 10% abv. Picked early, these grapes possess plenty of green apple flavors. The final white was an excellent Sauvignon Blanc ($22) which blended seamlessly with its suggested food pairing - salami. Their Rosé ($21) is a bleed from 100% Cabernet Franc, but I preferred the resulting Cabernet Franc ($23) red wine with its slightly creamy flavor and solid acids. The Merlot ($24) and Select Red ($25) - a 50/50 blend of Merlot and Cabernet Franc - rounded out the reds and are were both very nice wines. The winery's dessert wines were getting plenty of attention from my fellow visitors that day and I quickly learned why. The Cherry ($17/375ml) is made from sour cherries in the a style reminiscent of the Portuguese dessert wine Ginjinha and is fantastic. I guess I could say all the dessert wines were fantastic or very close. The Moscatel ($27) is 100% Muscat of Alexandria and possess the expected floral aromas with only subtle hints of alcohol. The Jeropiga ($17/375ml) is a 50/50 blend of Merlot and Cabernet Franc fermented with a cinnamon stick and fortified with grape brandy. And of course they must offer a port styled wine; the MV Tawny ($28) made from 100% Touriga and simple delicious. The tasting room staff was also a pleasure to meet. When not familiar with a question they quickly escalated the question to someone who may and were knowledgeable about the winery and products. And the prices were very reasonable for a Virginia made wine, particularly wines produced primarily from estate grapes. Well worth a visit. 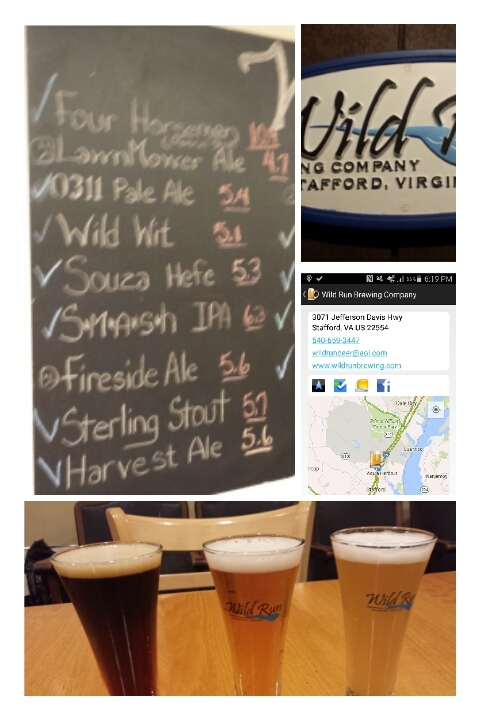 Building off our previous #VABreweryChallenge post, #VABreweryChallenge - Four Breweries Along Northern I-95, here are two more breweries located off I-95 in Stafford. Although Adventure Brewing is a relatively young brewery, owners Tim Bornholtz, John Viarella, and Stan Johnson having been brewing beer since the 1990s. In 2010 they began brewing together and formed the Stafford Brewers Club. Adventure is just the next step forward. 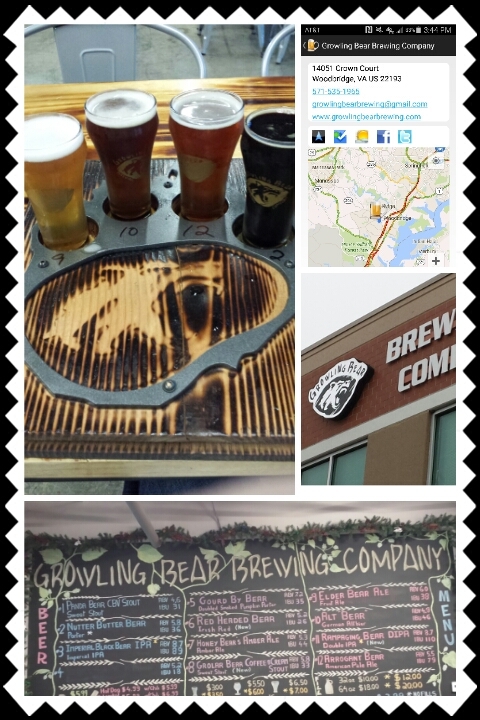 The tasting area is a lively and comfortable environment to enjoy their four year round beers and plethora of seasonal\specialty beers. One of these is the Hop Hash IPA which is hopped using "two experimental hops from Oregon Valley and a special “hop hash” that is a gooey, resinous and super concentrated lupulin punch". Still not sure what I think of this one, but it is worth trying. 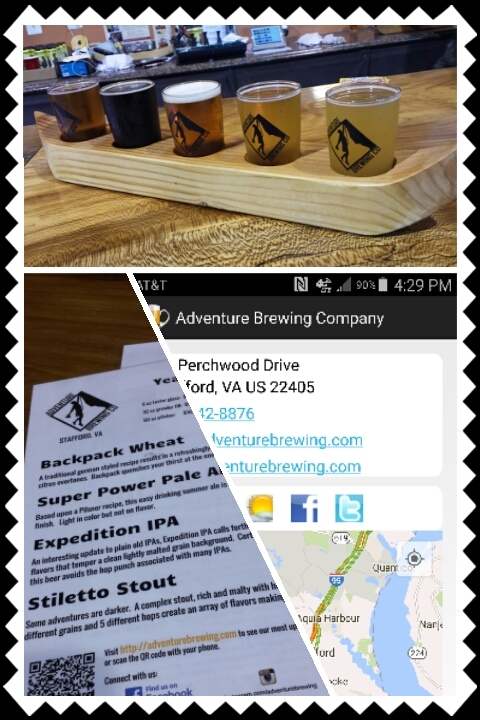 I stuck with the year round lineup in my canoe sampler consisting of the Backpack Wheat, Super Power Pale Ale, Expedition IPA, and Stiletto Stout. These were all solid beers, particularly the stout. Looking forward to the next couple weeks when the Backpack Sour is released. This may be the most peculiar tasting room as it is located in the campsite office of Aquia Pines Camp Resort. Talking about having a captive audience; the tasting area is the entire campground. But the campers (and neighboring Suburban Extended Stay Hotel) are better off with fresh craft beer than stale Bud and Miller. The beers are brewed by Michigan beer alum Matt King who provides a well rounded lineup. I didn't delve deeply into this selection but chose three: Harvest Ale, Souza Hefe, and Cherry Cream Ale. The last is outstanding, a slight velvety body, clean and crisp. The other two were spot on the styles; very pleasant beers. Make sure you visit one of the only campground breweries. 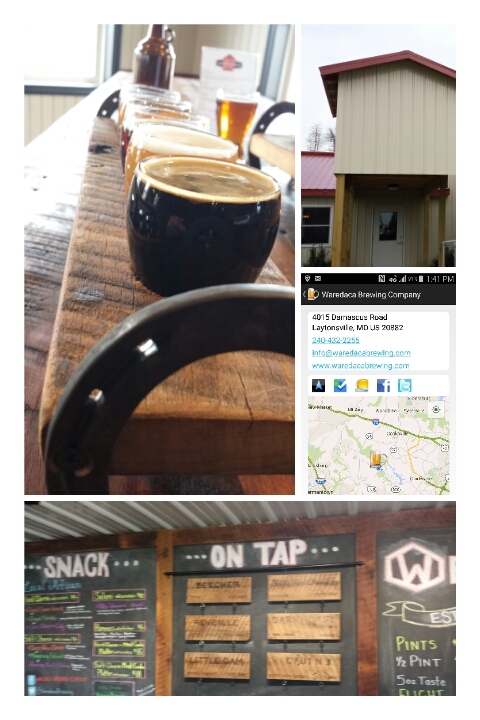 In December Waredaca Brewing Company (Laytonsville) opened becoming Montgomery County's First Farm Brewery - that is, they utilize some crops from the property in their beer production. In Waredaca's case they use Cascade hops, honey, lemon verbena, and well water for that purpose. The brewery is an extension of Waredaca Farm which was once called Camp Waredaca (WAshington REceational DAy CAmp) when it was a residential camp. 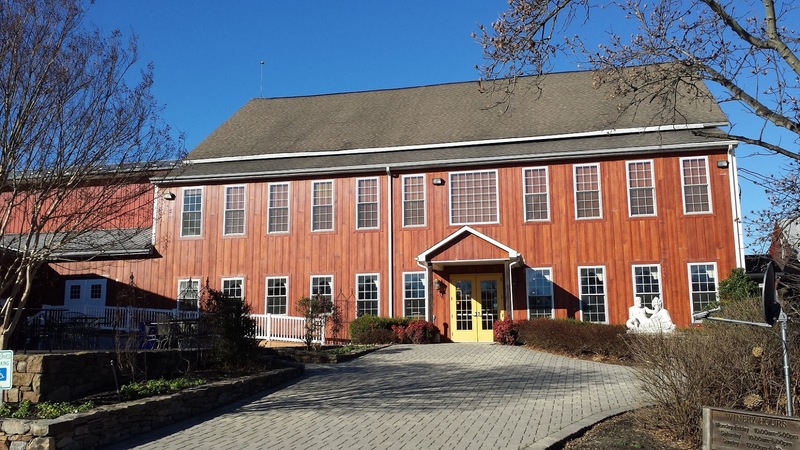 Today the farm is an equestrian center and is one of only 20 horse farms in Maryland to receive Maryland Farm Stewardship Certification and Assessment Program (FSCAP) certification. The Butts family decided to open the brewery in order to utilize an unused building on the farm. Keith Kohr is a partner\brewer with brewing experience gained through working four years at Flying Dog Brewery. Their 10-barrel system has been operating in over drive in order to produce the six beers currently available. These beers were quite good, all hitting the style except the Little Dam Honey Wheat which had a higher hop profile than expected. The Cabin 3 Berliner Weiss was only slightly tart and fortunately coffee didn't overwhelm the Reveille Coffee Stout. These were my two favorites followed by the Bunkhouse Saison, Darkhorse Saison, and Beecher IPA. The later had a large lemon citrus profile with the addition of lemon verbena in the mash. 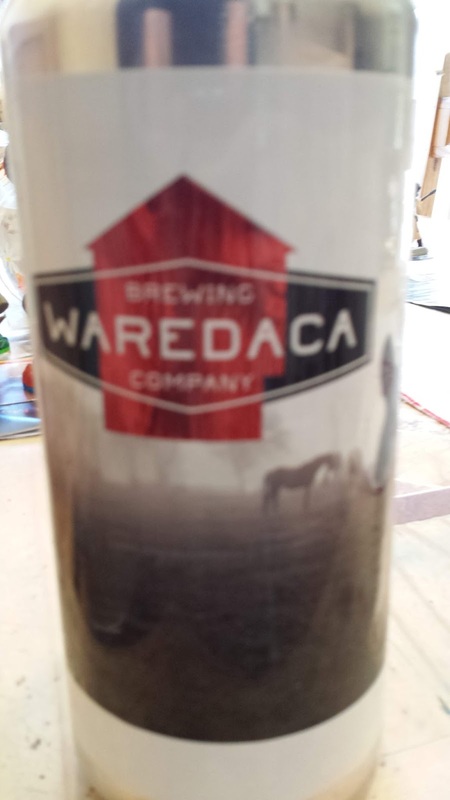 Waredaca also offers 32 ounce crowlers so you don't need to worry about rushing to finish a growler. Singles are priced at $10 but they provide a 3 for $25 special. That was our choice. As a working equestrian center there are plenty of horses to admire while sipping a beer. And live music starts this coming Saturday night. Cheers to that and check out theCompass Winery, Brewery, Distillery Locator Mobile App for directions. Ever been stuck in traffic on I-95 between the DC Beltway and Quantico? Of course you have. 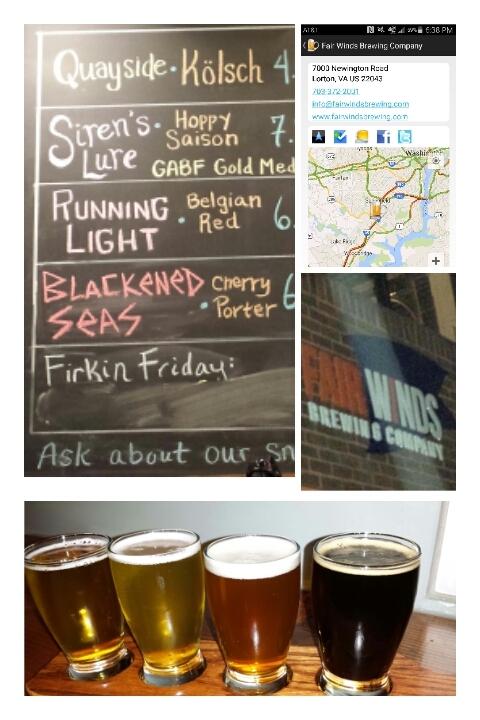 Well, here's four breweries to soak up the time waiting for traffic to subside. Plus it ticks four more off the #VABreweryChallenge. 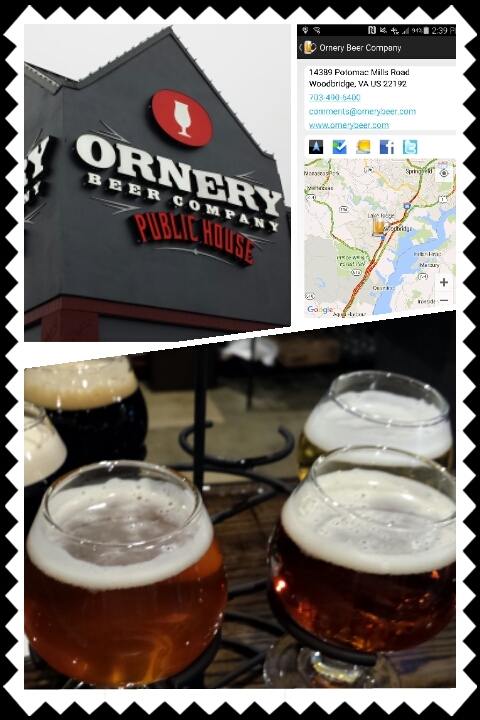 If you are hungry or passing Potomac Mills Mall then Ornery is your stop as they are the only brewery of the four to offer a full restaurant. I had the Kielbasa - a very good choice. As for the beer, they offer a range of styles from a rather tasty Blonde to a deep and velvety Imperial Stout. I sampled Austrian Dreams Vienna Lager, Ornery Blonde, Dubbel Ornery Belgium Dubbel, Black Stuff Dry Irish Stout, and the Lord Vader Imperial Stout. The blonde was lightly salty and very refreshing; the Dubbel spot on the style; and the Russian Imperial Stout providing velvety layers of chocolate without being overly malty and sweet. On the other hand, I thought the Vienna Lager to be too malt forward and the Dry Irish Stout too light - almost felt light drinking air. Nevertheless, I pleasant stop. Located just a couple miles from Ornery, this brewery has the largest portfolio of the four with twelve beers on tap. Too many to sample in this sitting I went with the Elder Bear Ale (a fruit ale brewed with organic elderberries with a subtle fruit profile and a tannic finish); Alt Bear German Altbier (very good with a solid dose of hops); Arrogant Bear American Pale Ale (Grapefruit profile) and the Nutter Butter Bear Porter (heavy on the chocolate, light on the Peanut Butter). I think these were my favorite sampling on this trip. 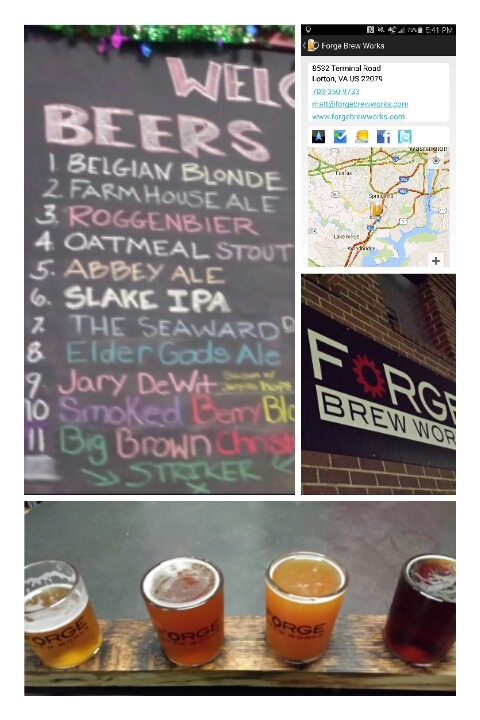 Heading North into Lorton, Forge is located in a industrial area just off the highway. Their signature beer is the Roggenbier, a rye ale that predated the Hefeweizen. On previous visits the spicy rye flavor was prevalent, but this recent batch is more citrusy. Still a solid, unique beer. Their Farmhouse Ale was once again solid and the Belgium Blonde less salty but more hoppy than most. The icing was the Abbey Ale, tasted like fruit cake. I'd say this was my favorite beer of the outing. Just a mile away, Fair Winds had the most dynamic tasting room, full with my chatter and games being played. The beer was vibrant too. The Quayside Kolsch was very refreshing as was the Sessions in the Abyss Session IPA - lighter profile with and citrus throughout . The Following C's Pale Ale was my favorite with it's smooth hop profile. The Blackened Seas Porter was close behind with a noticeable dose of cherries and chocolate. 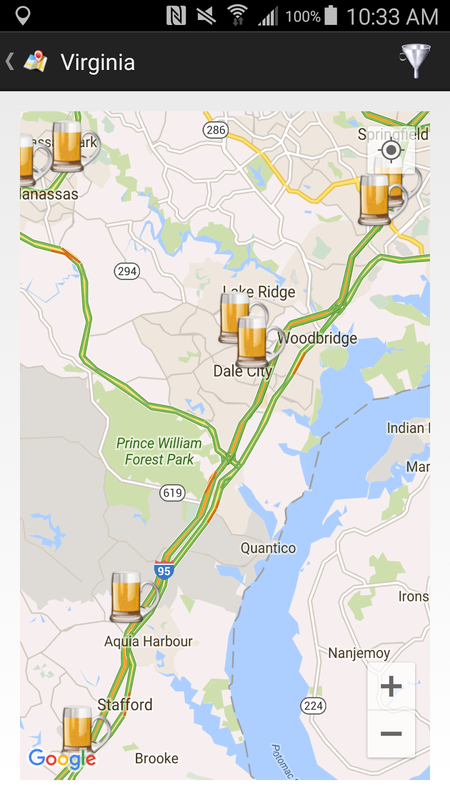 Update: Many of noticed that I left out two breweries a little further south of Woodbridge, but before Fredericksburg. Wild Run Brewing Company and Adventure Brewing Company will be covered in a future post. Update II: The new post is available.